I recently came across the most amazing website known to man.. or should I say women. It’s called OlioBoard and I am beyond obsessed. 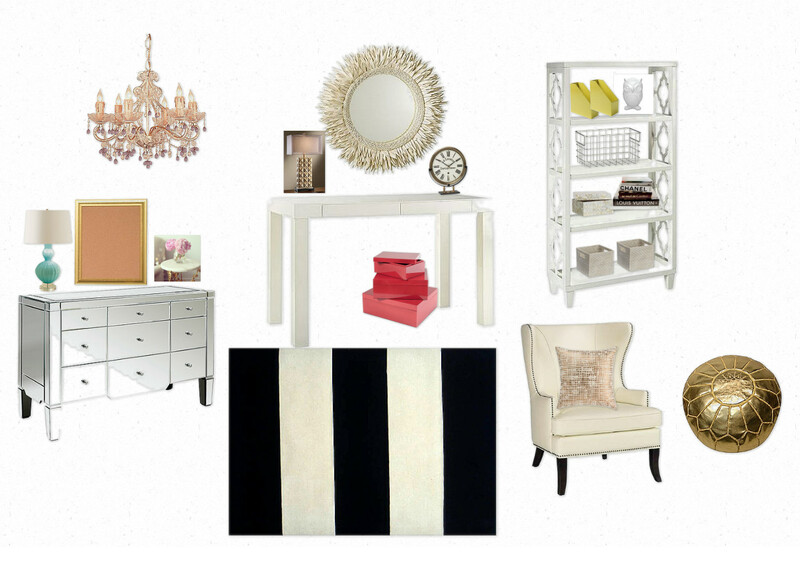 I spent approx 3 hours playing around with the site & designing my ideal home office! Here’s the gist of how it works; You create your own digital mood/inspiration boards on their site & save them to your profile. A lot of interior designers use this site + regular people who want to design their own space. It’s free to join. They do have a pro version that enables you to choose wall colors, add text & use the budget feature, which is $8.99 a month. All the images you select on the site are fully available for purchase and they list the product’s specifications & prices!! Amazing! You can even upload your own inspiration photos from your computer or photos of your current furniture. I put this board together for my ideal home office. What do you think? It really helps you envision the room you are trying to create.. instead of buying items at stores only to find out that they don’t match your current decor – talk about a major time saver.